Cologne was a short-trip visit for me. I arrived sometime around two in the afternoon and left around nine the next morning. I took a few hours to walk around in the part of town in which I was staying (within about a mile of the train station). 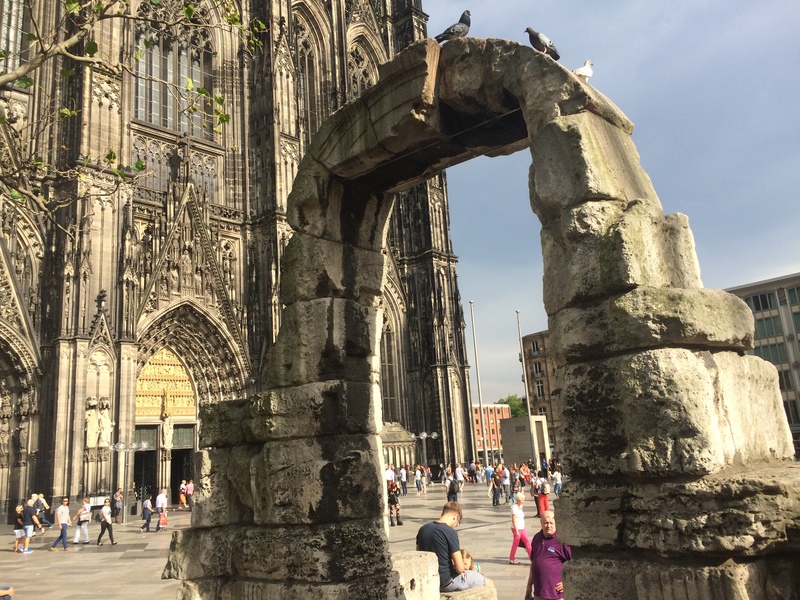 I saw a medieval city gate, a 1st century Roman gate, and the Cathedral of Cologne. I come away from the short visit of two minds. On the one hand, and because of that business-centric vibe and its accompanying grime and grunge, I am tempted not to put Cologne high on my “must visit again” list. On the other, and this is actually a really striking thing about the city, its sights are spectacular. The Cathedral, by itself, warrants a visit to the city. Oh, the Köln Dom. I will allow myself to go on a bit about this. First off, my estimations the day of the visit were akin to my thoughts about a Phish show the day I see it: so sky high that I am cautious about judgment (e.g. “Is this really the greatest Cathedral I have ever seen, or is it just a really neat one?” or “Was that really one of the best shows I’ve seen or was it just a ‘solid’ tour closer?”). 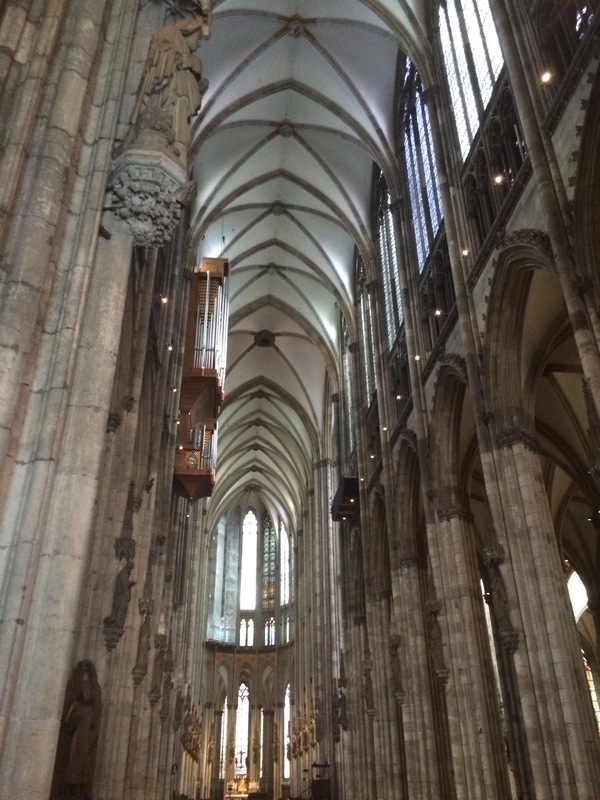 But here it is, several days later, and the impression is still there: The Cathedral in Cologne was, purely and simply, the most grand and mind-blowing structure I have ever seen. I’m barring nothing here – not the Vatican and accompanying buildings, not Prague Castle, nor the Sears/Willis Tower, not the Basilica di San Giovanni in Laterano of Rome, not the damned Coliseum. Nothing. I really mean it. In terms of numbers, its some 550 feet (167m) tall and boasts the largest façade of any building in the world; other buildings, of course – several other churches and cathedrals included – are bigger, in fact. But the impression was, and remains, that I’ve never seen anything so breathtaking. The façade, of course, is astounding in its imposing figure; the two massive pipe organs inside are unparalleled in my experience; the ceiling is so high; the stained glass is exquisitely well done. 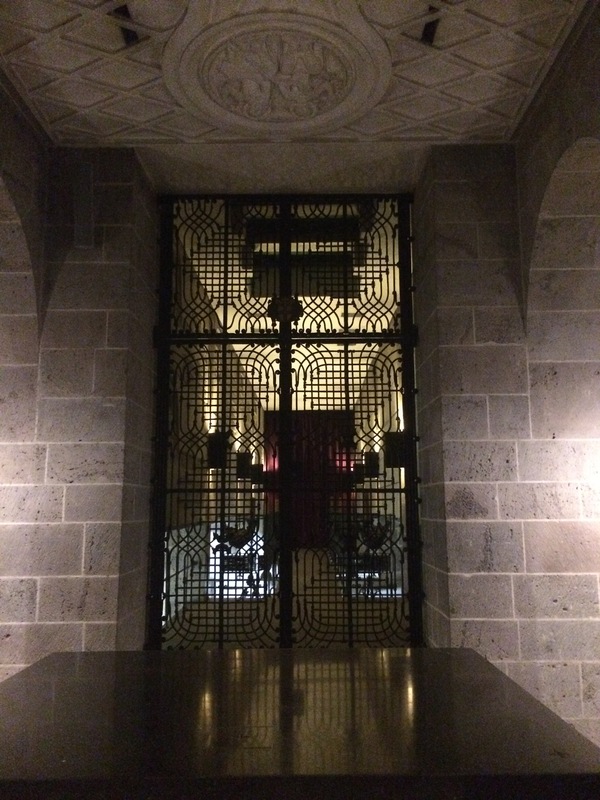 Standing in the crypt under the floor of the Cathedral gave me the feeling of being underneath a lot of weight and stone – kind of similarly eating in a diner at the ground floor of a New York City skyscraper. In short, the visit to the church was astounding, and I’d visit again just to see that. I announced afterward to my friends and family that I had thoughts of quitting life, joining whatever order to which the priests of this church belong, and swearing an oath never, for the remainder of my days, to leave the building. I could die a happy man if I could spend my years inside the Cologne Cathedral. I get a feeling of understanding, when I visit these kinds of places, how the Church came to dominate life and politics during the long age of educational deprivation. At the end of my night in the hostel, before bed, I spent about two hours talking to four Hollanders about politics and education in the U.S. (a standard and a favorite topic of conversation when I’m meeting people abroad). That and the accompanying two bottled Cokes (there’s something about Coke in a glass bottle…) were a great nightcap. 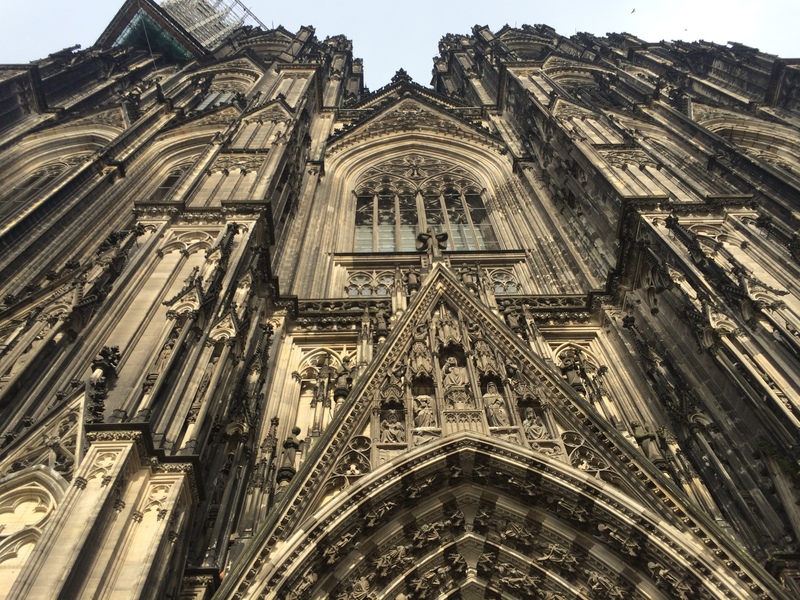 This entry was posted in 2015, Travelogue, Travelogue 2015 and tagged Cathedral, Cathedrals, Cologne, Cologne Cathedral, germany, Roman Catholic Church, travel. Bookmark the permalink. Wow. Looks just as amazing as you’ve described. Are there still services that go on in this cathedral? It almost looks like a much larger version of the cathedral at the Prague Castle- did you get that impression? Glad you got to see this and thanks for sharing a few pictures! Can’t wait to see more. It is honestly so hard to compare it with any other cathedral I’ve ever visited. It was just a more impressive and bigger version of, well, every other impressive church… Except that the increase in size in this case seemed to change the kind of thing that it was. It’s worth visiting Cologne, I think, if only for this building – though there are some other things I’d like to see there, and it’s not exactly a clean and proper place… It’s a bit… gritty! All content on this website is copyrighted to the authors on the date noted in each particular post. No reproduction without permission.